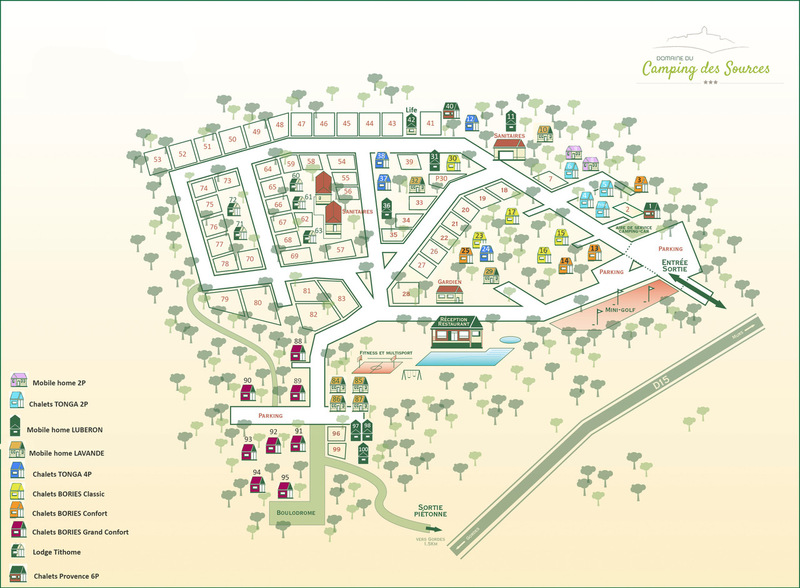 The Domaine du camping des Sources has some types of holiday caravan available for short breaks and for stays of a week or more throughout the season. You would be surprised how well equipped and spacious they are. Our 1, 2 or 3 bedroom holiday caravans comfortably sleep 2 to 6 people. gamme GRAND CONFORT : fridge with freezer compartment, dishwasher. Some types have air-conditioning. gamme PREMIUM : fridge with freezer compartment, dishwasher, air-conditioning, private Spa. Duvets and pillows provided. Please bring your own duvet covers, bottom sheets, pillow cases, towels and tea towels. Linen and sheets hire available. The parking is located next to your holiday caravan for up to 1 car. The holidays caravans are non-smoker. The rentals are not equipped television. Extra : pet, 2e vehicule, cleaning, sheets hire, linen hire, highchairs. If you want book, we are asking a pre-payment of 25%. The balance will be paid 1 month before your arrival date. You can take the cancel insurance (Axelliance) for 2.50€ per night. To see general conditions, it’s here. The fees come to 10€ for stay from 2 to 6 nights and 20€ from 7 nights and more.